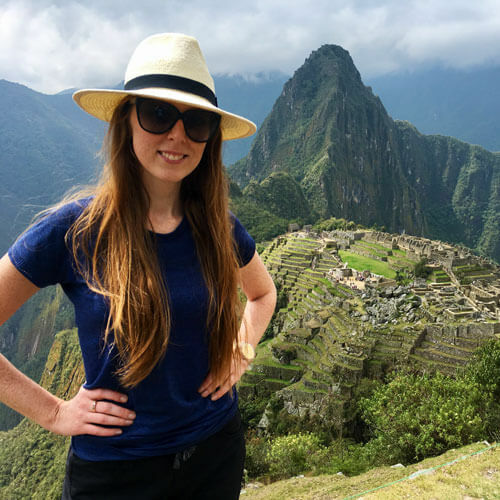 Starting in Quito, Ecuador’s capital city, see the many charms of this UNESCO World Heritage Site before journeying to the Galápagos Islands—a modern-day Eden with an unmatched abundance of exotic, endemic wildlife. Spot sea lions sharing the beach with marine iguanas, explore archaic volcanic tunnels and—like Darwin before you—cross paths with giant tortoises. This inimitable adventure is sure to provide you with memories you’ll treasure endlessly. 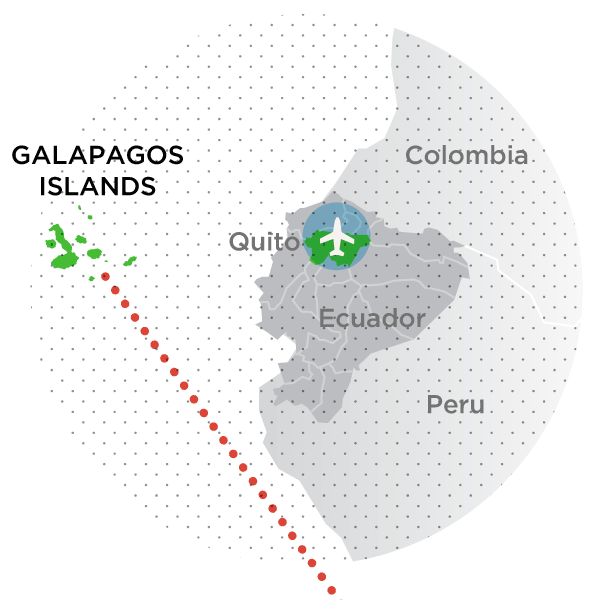 Please note that space in the Galápagos Islands is very limited and fills up quickly. To secure space, it’s best to book at least one year in advance. 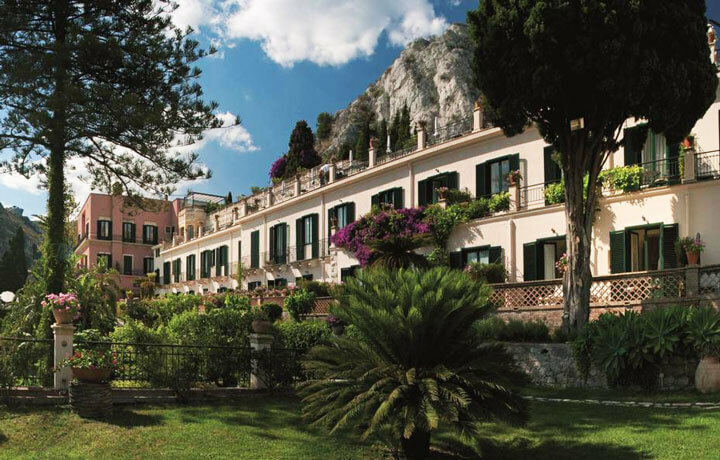 You’ll be picked up from the airport and driven to the kingly Casa Gangotena hotel. The first night in Quito is yours to enjoy and explore the city on your own. Set sail for Santa Cruz Island—a perfect introduction to the Galápagos. Settle in at the Pikaia Lodge and enjoy lunch by the pool or a welcome cocktail at the DNA bar. The afternoon is yours to explore the resort and its many wonderful amenities. Take the day to discover Santa Cruz Island—visit the lava tunnels, spend time at the Giant Tortoise Reserve or do some snorkelling along the coast, the activity opportunities are endless. All aboard the Pikaia Yacht! 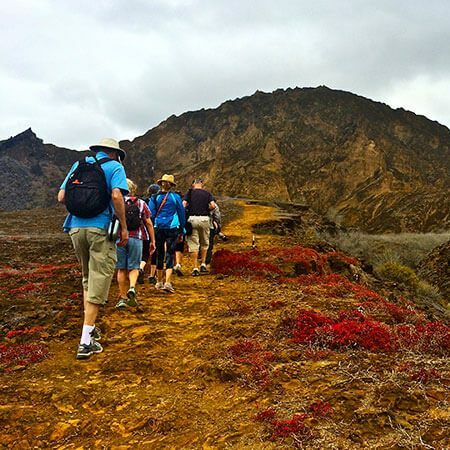 Spend a full day hiking, snorkelling and exploring Bartolomé Island and Sullivan Bay. Get up close and personal with the local penguin colony and be sure to have your camera ready for spectacular views. Today, you are free to tour Santa Cruz Island even further. We recommend visiting the Charles Darwin Research Station—here you can gain insight into the efforts being made to preserve this UNESCO Site and catch a glimpse of the islands’ namesake, the famous Galápagos tortoises! Sail between North Seymour Island and Mosquera Islet, where you'll spot blue-footed boobies, penguins, sea lions and marine iguanas (perhaps even dolphins and orcas in the distance). If you choose to snorkel, playful sea lions may accompany you! 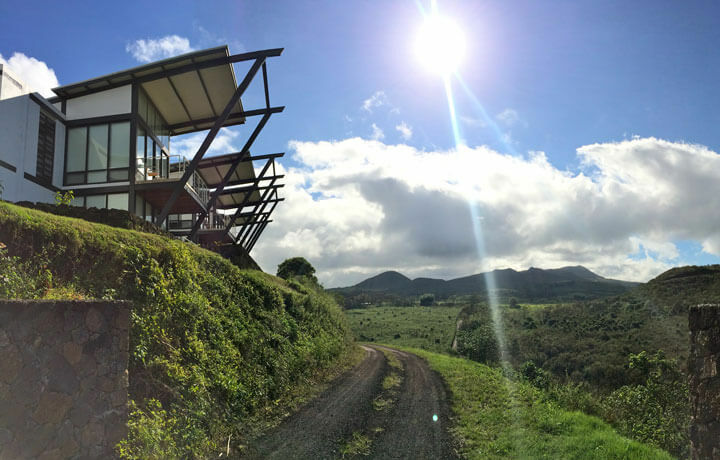 On your last day at Pikaia Lodge, enjoy the morning at your leisure before being driven to the airport for your departure flight. 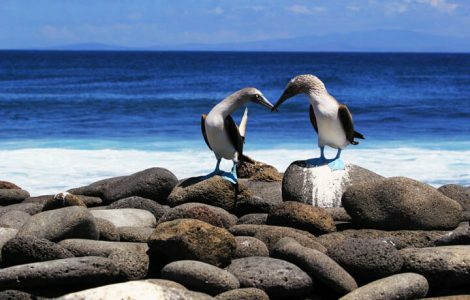 Butterfield & Robinson offers a nine-day tour of the Galapagos Islands designed specifically for families, including kayaking, excursions on small panga boats in search of penguins, and snorkeling with sea lions, turtles and perhaps hammerhead sharks. The tour is conducted on the Isabela II, a 37-passenger vessel that takes you in comfort to and from eight islands. These include North Seymour with its dramatic volcanic landscape, Punta Suarez, inhabited by lava lizards and albatrosses, and beach-ringed Genovesa Island. This walking trip features plenty of uneven footing and dirt trails—but its focus is not on covering distance. 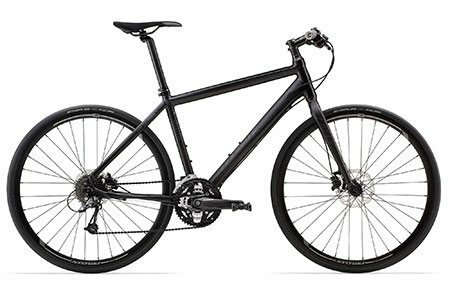 Transportation to and from the day’s event is provided in most instances. The change in elevation (Quito is 2,800 metres above sea level) may interfere with the breathing of some travellers. Local experts and specialists, services of English speaking private guide(s).